Watching the news everyday can put some scary thoughts in your head. Burglaries and home invasions can make you worry for your personal safety, especially if you’re living in a highly populated area or an area riddled with crime. You want to be safe, but you don’t know where to begin or how expensive it will be. Luckily, there are numerous routes you can take to live a safe and secure lifestyle knowing you and your family are in the best hands. You can begin by taking small steps to fully upgrading your home so no intruders can get in. Here are some ways to become safe and secure in your everyday life. If you want to go the extra mile, you may want to look into home security systems. Home security systems can be expensive due to the price of equipment and installation prices, so look into home improvement financing options that can help you secure your home while also saving you money. You can also purchase wireless home security systems that meet your needs. Additionally, you can buy fire resistant roofing and decks. These can be expensive, so you should consider getting home improvement financing. Personal safety is also important. There are several ways to protect yourself while you’re in or outside your home. Tactical pens are a great self-defense item that can be carried with you everywhere and anytime. Based on the Kubotan, tactical pens have the functionality of a pen paired with additional self-defense capabilities. These capabilities include strong toughened metal, a practical grip, an LED flashlight, and they sometimes have an attachable knife or flathead screwdriver. Overall, tactical pens are a great self-defense weapon to have handy at all times. Stun guns, tasers, and spotlights are other items that can help you in self-defense cases. If you’re alone at night or if you find yourself amidst a gas station robbery, a stun gun or taser can keep you and those around you safe from a dangerous person. Tasers can be fired from long-range or in close proximity. It shoots two probes attached to a wire that delivers an electrical shock. On the other hand, stun guns can only be used in close proximity. A stun gun must be pressed against the assailant. 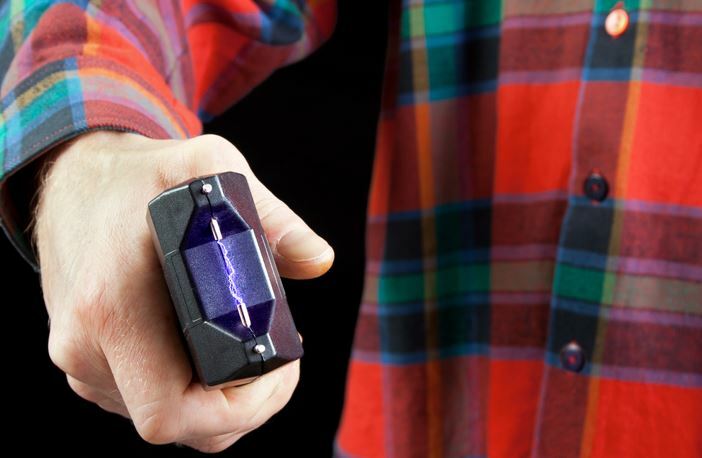 Stun guns come in all shapes and sizes, and they can be disguised as everyday items, from rings and lipstick, to flashlights and batons. Spotlights, on the other hand, are mostly good for preventative measures, but are normally bright enough to blind someone in a pinch. If you’re walking around at night, having a spotlight with you will deter anyone from approaching you, and that’s the best protective measure you can have! 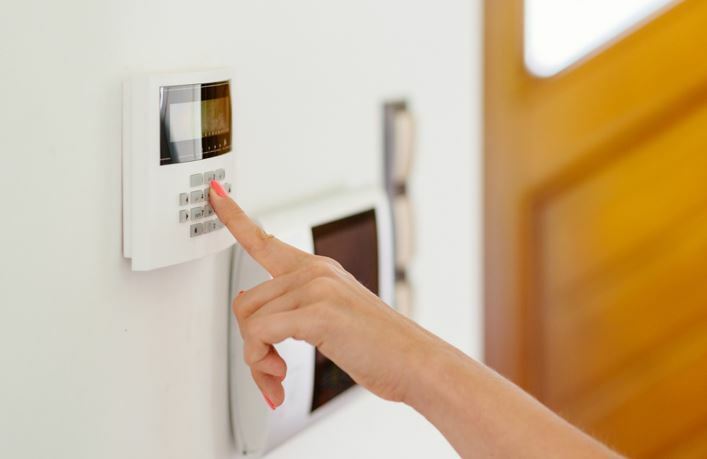 Alarms are used more and more across the spectrum for security. People use them for homes, gardens, and cars, but they’re also an effective personal tool. Personal alarms are a cheap and effective tool that alarm those nearby that you need help or that you’re being attacked by an assailant. When you’re shopping for a personal alarm, it’s important to research the specs of different models to determine if it matches your needs. These alarms are great to store in your pocket or purse. They create a loud alarm that can be heard far away to keep you safe and receive help from others. Overall, there are numerous ways to live a safe and secure lifestyle. Living in a secured home will provide you with peace of mind knowing that you and your loved ones are safe. When you’re not at home, personal safety devices like tactical pens, tasers, and personal alarms will keep you safe at all times so you can make it back to the comfort of your home.